New York has amazing tap water, so my ice cubes are nice and clean, but that ‘freezer’ taste still gets into my water when the ice melts. But i found an easy and tasty way to change that! 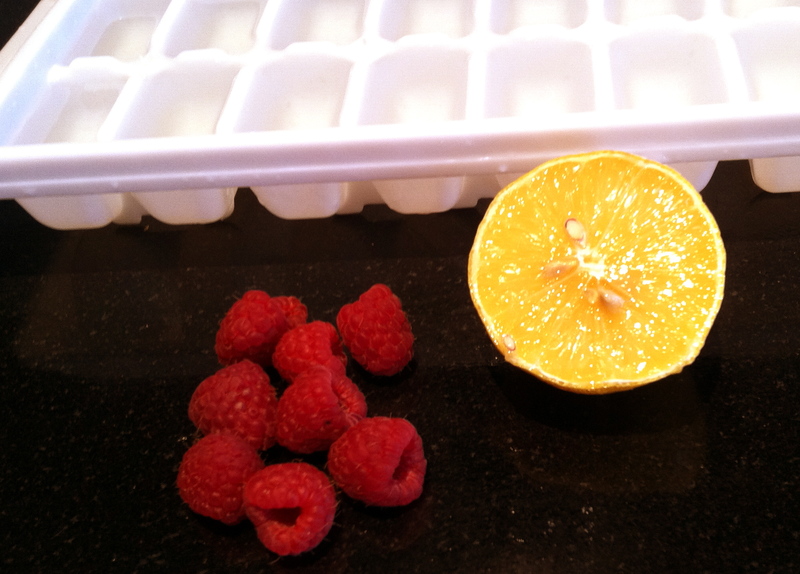 I just add lemon juice, raspberries, or other fruit into the ice cube try before freezing it. Try it out and let me know what combinations you come up with! Have you ever wanted to bake some chocolate cookies at 2am, then realize that your brown sugar is hard and unusable? It has happened to me, and I almost broke the hearts of friends who were waiting for them. But then I figured there is probably a way to fix the situation, and there is. boil a pot of water and hold the sugar over the pot so it absorbs the steam. When your sugar begins to soften, crumble it with your fingers and pack it into your measuring cup. So, no more running to the store when you have your oven pre-heating! 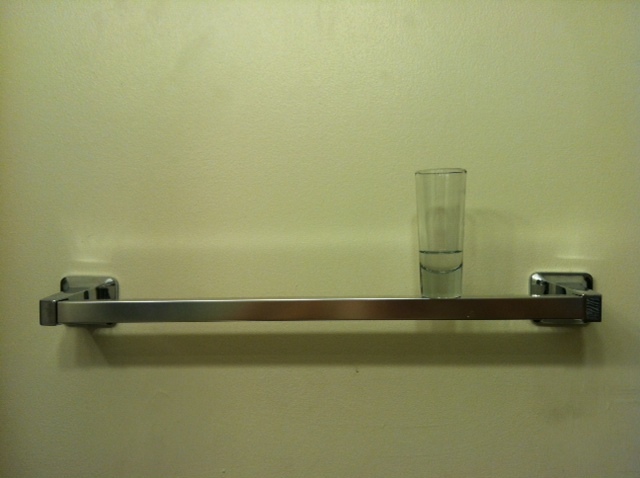 My roommate Peter bought a towel bar for our bathroom and I helped him put it up. The installation was simple, but we didn’t have a level. I fixed out situation quickly by using a shot glass! Just fill a shot glass, or a clear glass, with some water, and place it on whatever object needs to be leveled.